Ava is recovering from demonic possession. With no memory of the past month, she is forced to attend a Spirit Possessions Anonymous support group. As Ava struggles to reconnect with her friends, get her job back, and figure out where the huge blood stain in her apartment came from, she is plagued by nightmarish visions--the demon is trying to come back. 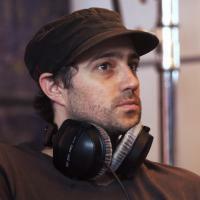 Jordan Galland has directed commercials, music videos and two feature films Rosencrantz and Guildenstern are Undead (2010) and Alter Egos (2012). He has released over a dozen albums of his own songs since 1998 and contributed music to films and TV shows as well an original score for the award-winning Supporting Characters(2013).